Jane Mogel has degrees from both New York University and the New York School of Interior Design. Her over 20 years of interior design experience includes apartments and houses, advertising agencies, law firms, corporate sports arena suites, private offices, and hotel lobbies. 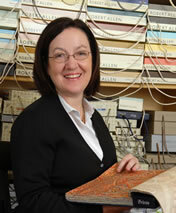 Jane has taught interior design classes in Westchester County, NY. Jane Mogel Interior Design is an Angie’s List Honor Roll Award Recipient.